Pick 78 | Will Hayes Footscray Bulldogs VFL Best & Fairest winner Will Hayes is now an AFL-listed player. Watch the state league highlights of the Club's latest draft recruit. It’s pleasing to see our VFL program is producing players who are graduating to the senior Bulldogs list, following the success of Billy Gowers in 2018. 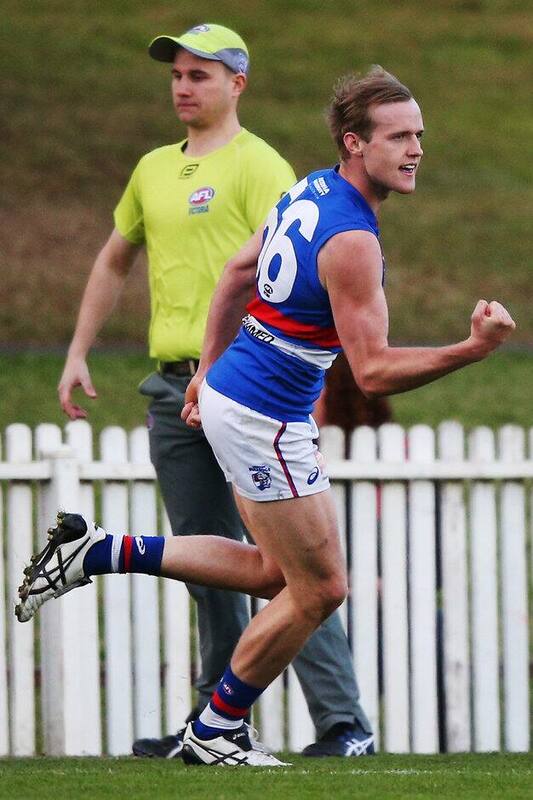 The Western Bulldogs have secured Footscray’s Will Hayes with pick 78 in the NAB AFL Draft. Hayes capped off an outstanding 2018 VFL season, winning the Footscray Bulldogs’ Best and Fairest. The 23-year old midfielder maintained a consistently high standard this season. He led Footscray for average disposals (26 per game) and contested possessions (10 per game). He ranked second in the league for total uncontested possessions (16 per game) and third for total inside-50s. “We’ve had the opportunity to watch Will up close, and we’re excited to see him get an opportunity at AFL level,” said Bulldogs’ National Recruiting Manager, Nick Austin. “Will has excellent ball-winning ability, has strong endurance and is strong in the contest.